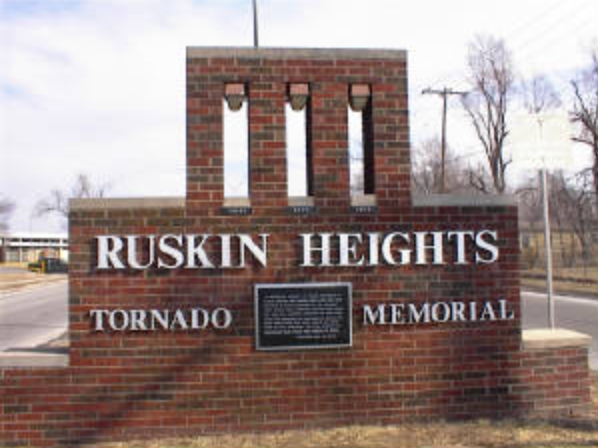 Today is the 60th anniversary of the most important day of my life: The Ruskin Heights Tornado. I some personal reflections. I wouldn't be a meteorologist. I likely wouldn't have married Kathleen. Her home was damaged in the tornado. Ours only had debris in the yard. The entire course of my life would have been different. was hooked. At the age of five, I knew I wanted to be a meteorologist. Anything with that power had to be pretty interesting! 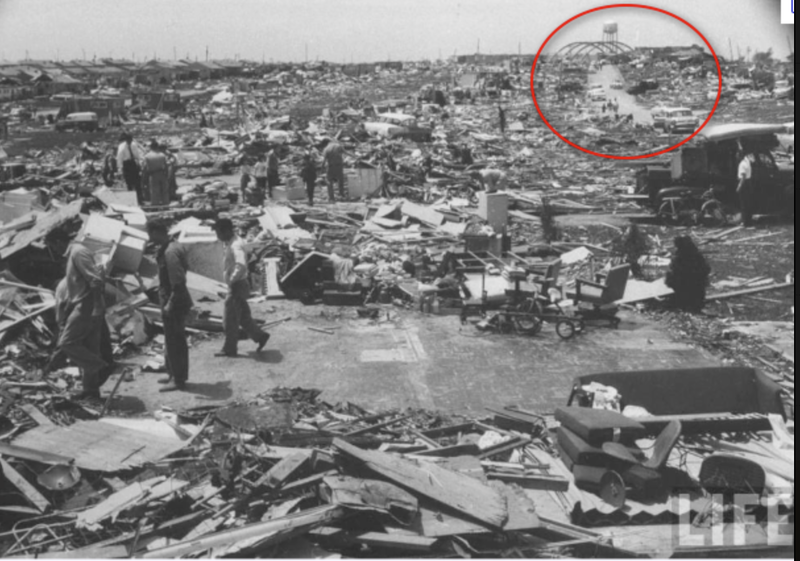 It was also was one of the most important tornadoes in history. It was probably the tornado that caused the (then) Weather Bureau to get into the formal tornado warning business, after resisting for years. 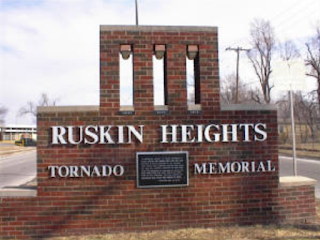 My book, Warnings: The True Story of How Science Tamed the Weather, begins with the Ruskin Heights Tornado. The red link will take you to that chapter which you can read at no charge. There is also a wonderful essay, here, that tells the story from another point of view (including that of some of Kathleen's relatives). Last, but not least, film of the damage and other information about the storm here. 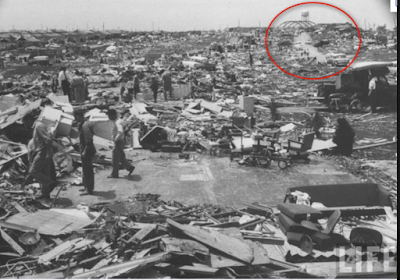 The victims of that tornado did not die in vain because it let to the warning system that has saved many thousands of lives. Because of this important occasion, there will be no other blogging today. The path of that tornado changed who I am. I remember it vividly. I need only to look down at my legs to see evidence of the tremendous destruction possible and to remember family lost. The good that has arisen goes beyond weather forecasting. Two new orthopedic surgical techniques have been developed to repair damage to my legs. The impact will be far reaching. A high school student once asked if I could change being in the tornado, would I? My answer, no.